The 2018 Champions Ring goes to Canada. Stirling Hart claimed victory at the Stihl TIMBERSPORTS Champions Trophy in Marseille's Vieux Port. 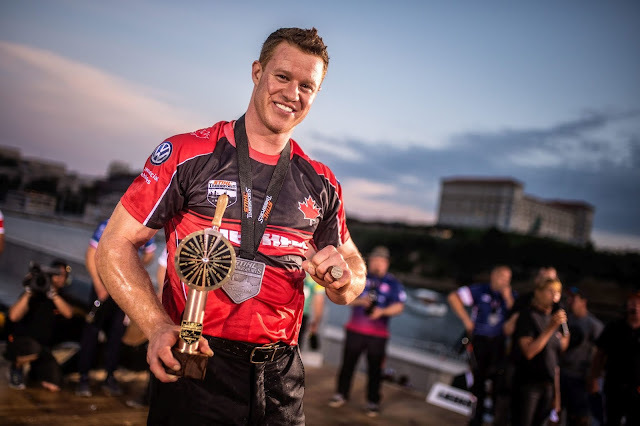 In a thrilling final he defeated Jason Wynyard from New Zealand completing all four disciplines with axe and saw in a time of just 1:03.40 minutes. Mitch Argent from Australia came in third. "Last year I was so close to winning the Champions Trophy - that was going through my head the whole time," admitted Stirling Hart. "I am thrilled to have won. My focus is already on the next international competition. I will take a few days off to enjoy my win and then start preparing for the World Championship." Mitch Argent, who finished third, posted a stunning time of 58.12 seconds in his quarter final - the fastest time of the day - but lost against Hart in his semi final. In the bronze medal match Argent came out on top against Martin Komarek from the Czech Republic, who was the best European athlete. The competition format used at the Champions Trophy demands maximum endurance, precision and strength. 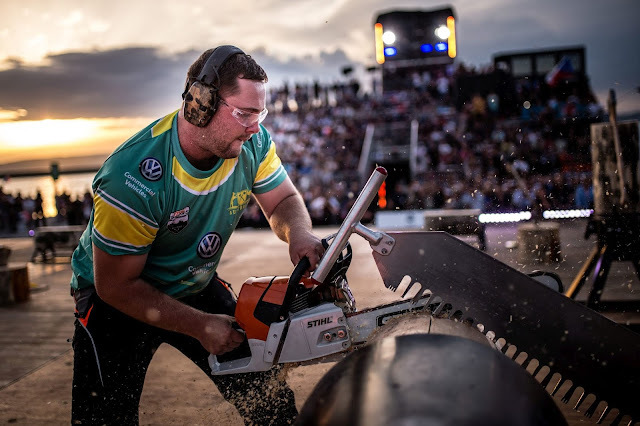 Four axe and saw disciplines from the Stihl TIMBERSPORTS Series are completed back to back, with the winner of each duel progressing to the next round. 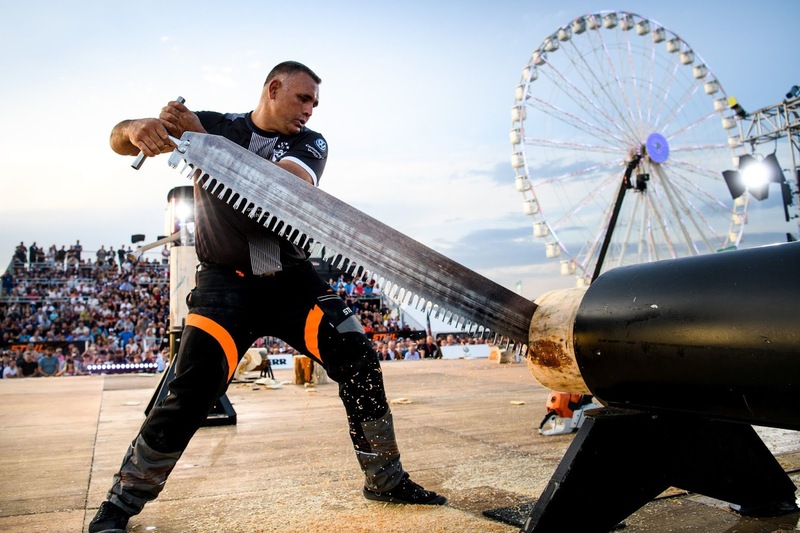 The athletes must show absolute concentration in the chainsaw discipline Stock Saw, the axe event Underhand Chop, the Single Buck discipline featuring a one-man handsaw two metres in length and the Standing Block Chop. Also on Saturday, eight of the world's best young logger sports athletes competed in the Stihl TIMBERSPORTS Rookie World Championship. Daniel Gurr from Australia came out on top ahead of Italy's Michael Del Pin in second place and Chas Haasfrom the USA. ⏩ The world's best athletes will next meet on 19 and 20 October 2018 at the Stihl TIMBERSPORTS World Championship in Liverpool, England. The Stihl TIMBERSPORTS Series is an international extreme sports competition series. Its roots lie in Canada, the United States, Australia and New Zealand. Springboard, Underhand Chop and Standing Block Chop are the classic axe disciplines; Single Buck (single-man cross-cut saw), Stock Saw (standard chainsaw) and Hot Saw (tuned, customized chainsaw with up to 80 horsepower) see athletes compete against each other and the clock.